English law has many specialist branches and, as an island nation, a system of courts developed to deal with disputes arising from shipping. These courts were known as Admiralty Courts and dealt with matters such as collisions at sea, cargo, chartering of vessels and marine insurance. In the late Victorian period the court structure was reformed by the Judicature Acts 1873-75 which created the High Court of Justice and brought within that court a considerable variety of jurisdiction previously dealt with by separate courts such as Admiralty and, from the ecclesiastical courts, probate and divorce. Today, the High Court Queen's Bench Division has within it some specialist courts: the Administrative Court; the Admiralty Court; Technology and Construction Court and the Commercial Court. Each year there is a small number of Admiralty cases heard in the High Court. Also, certain County Courts have some Admiralty jurisdiction. A recent Admiralty Court case was concerned with a collision between two ships and the apportionment of the losses - see here. The judgment of David Steel J extends to just 33 paragraphs and is a model of succinctness and clarity. The Judge sat with Captain Derek Richards, an Elder Brother of Trinity House, who acted as Nautical Assessor and advised the Judge on matters such as seamanship and navigation. The use of an assessor in the High Court is unusual and is a feature of the Admiralty jurisdiction. It helps to reduce reliance on expert witnesses. Could it be usefully adopted in other areas? No apology is made for returning to the vexed topic of joint enterprise in criminal law. In November 2009 the BBC published an article following a Panorama programme about this subject. Now Diane Abbott MP has raised the subject - see The Guardian 29th July. Abbott refers to the case of Jordan Cunliffe who was one of three convicted of the murder of Mr Garry Newlove - the others were Adam Swellings and Stephen Sorton. Jordan Cunliffe is partially sighted and that the prosecution accepted this at the time of the trial. [This is not necessarily a fact which would exempt a person from liability but it could, depending on all the facts, be a very important consideration to the extent that it might cause a jury to doubt whether the person had engaged in a joint enterprise particularly in a case where the alleged joint enterprise arose almost spontaneously as opposed to some pre-planned event]. Abbott calls for a review of the law. The doctrine of joint enterprise is required but, as it is being currently applied, is capable of producing injustice. For earlier posts on this subject see Joint Enterprise 1 and Joint Enterprise 2 Armel Gnango case. Reform is necessary and ought to be carried out with a degree of urgency. The Court of Appeal (Lord Judge LCJ, Lord Neuberger MR and Sir Anthony May) has ruled that those facing trial over allegations of false accounting in connection with Parliamentary Expenses are liable to be tried in the ordinary criminal courts. The Bill of Rights 1689 does not, in their Lordship's view, prevent this. See The Guardian 30th July 2010. The MPs appealed against a pre-trial ruling by Saunders J. Earlier posts on Law and Lawyers may be seen at Expenses 1, Expenses 2 and Expenses 3. Whether there will be a further appeal to the Supreme Court remains to be seen. Here is a link to the Court of Appeal Judgment. 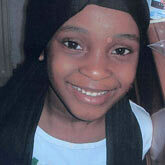 The Birmingham Safeguarding Children Board has published the Serious Case Review Report into the death of Khyra Ishaq. Law and Lawyers covered this case on 26th February 2010 with follow up here and here. The report is lengthy - 180 pages - but merits a full reading. The review concluded that the death was preventable and makes a considerable number of recommendations including a "tightening" of the law on Home Education - see The Guardian 27th July. Authority, Respect and Courtesy - Police Officers act with self-control and tolerance, treating members of the public and colleagues with respect and courtesy. Police Officers do not abuse their powers or authority and respect the rights of all individuals. Equality and Diversity - Police Officers act with fairness and impartiality. They do not discriminate unlawfully or unfairly. Discreditable Conduct - Police Officers behave in a manner which does not discredit the police service or undermine public confidence in it, whether on or off duty. Police Officers report any action taken against them for a criminal offence, any conditions imposed on them by a court or the recepit of any penalty notice. Challenging and Reporting Improper Conduct - Police Officers report, challenge or take action against the conduct of colleagues which has fallen below the standards of professional behaviour. The Office of Constable is a demanding role and often requires considerable courage. A Constable swears an oath - "I do solemnly and sincerely declare and affirm that I will well and truly serve The Queen in the Office of Constable with fairness, integrity, diligence and impartiality, upholding fundamental human rights and according equal respect to all people; and that I will, to the best of my power, cause the peace to be kept and preserved and prevent all offences against people and property; and that while I continue to hold the said office I will to the best of my skill and knowledge discharge all the duties thereof faithfully according to law". An interesting pamphlet on "The Office of Constable" may be seen here. Ian Tomlinson death: Disciplinary Hearing - will it be in public? The Police Officer who struck and pushed Mr Ian Tomlinson is to face misconduct proceedings - The Guardian 27th July. Police Misconduct and Complaints is a complicated area of the law and a number of lawyers specialise in it. Perhaps the principal book on the law is "Police Misconduct, Complaints and Public Regulation" by barristers John Beggs and Hugh Davies. Such proceedings are normally held in private but there is a power under the Police (Conduct) Regulations 2008 - Reg. 32(5) - for the IPCC to require this hearing to be held in public. The IPCC's Statutory Guidance on the Handling of Complaints refers to this at paragraphs 479-481. In making a decision whether to order that the hearing be held in public, the IPCC will follow its own guidelines - see the criteria laid down under the earlier 2004 Regulations (here) though the IPCC has been reviewing the guidance- see here. Under the guidance, the IPCC must first consult a number of parties including the officer in question. Some time ago, there was considerable opposition within the Police to holding these hearings in public - (see, for example, Daily Mail 3rd January 2007) - since there was a concern that hearings would be turned into "pseudo-show trials". Under the Police Conduct Regulations, the officer may be represented at the hearing by a lawyer and an appeal (on certain grounds) is possible to the Police Appeals Tribunal. [Appeals are the subject of separate Regulations. An appeal tribunal for an officer who is NOT a senior officer consists of 4 persons and the legally qualified chairman has a casting vote - Police Act 1996 Schedule 6). Given the massive public interest in this case and the likelihood of loss of public confidence in the process if the hearing were to be held in private, this would seem to be an appropriate case for the power to be exercised. A public hearing would also give a public hearing to the officer's side of the case and, it is important to note, this has not yet been heard by the public. The IPCC decision on the matter is awaited. Addendum 28th July: There are calls by MPs for a Judge to be appointed to conduct the inquest into Mr Tomlinson's death - see BBC 28th July. The Home Office has issued a consultation paper dealing with reform of the Police - "Policing in the 21st century: reconnecting Police and People". There will be Police and Crime Commissioners (to act as poweful representatives of the public) and the Police Authorities will be abolished. The Authorities have existed since the Police Act 1964. See BBC News 26th July. In addition, there will be "Police and Crime Panels" made up of local councillors and lay members. Interestingly, despite some pre-election views within the Conservative Party, ACPO appears to be safe and will become the national organisation for providing professional leadership of the Police. A National Crime Agency will be formed and the work done by some other bodies (including the Serious Organised Crime Agency) will be taken over by the new agency. For a considerable time the general public has felt disconnected with the Police. The new proposals need to be examined to see how they will actually improve independence (especially from central government) and local accountability. Also, how are these proposals going to relate to the government's demands to save money from which the Police do not appear to be immune. 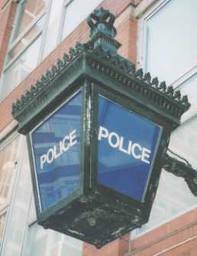 Police Forces are planning for cuts in their manpower - see, for example, Durham and North Wales. Reaction of the Police Federation and ACPO. Two Court of Appeal (Criminal Division) judgments have been handed down which ought to make it clear that NON-jury trials in the Crown Court will be only ordered exceptionally. This is very good news for those who, like myself, believe in the value of jury trial. However, it is a matter for regret that it is necessary to have provision for non-jury trial in order to ensure that certain defendants stand their trials. The judgments are J, S, M v R  EWCA Crim 1755 and KS v R  EWCA Crim 1756. The first non-jury trial in the Crown Court was held earlier this year - see here. Mr Ian Tomlinson died in Threadneedle Street, London on 1st April 2009. Almost 16 months later, the Crown Prosecution Service has announced that no criminal charges will be pursued against the Police Officer who, whilst with other officers controlling crowds during the G20 conference, had struck Mr Tomlinson with his baton and subsequently pushed him strongly from behind causing him to fall. Mr Tomlinson was able to get up - (the Police provided no assistance to him) - and moved away to Threadneedle Street where he collapsed and died. (At the time, there were Police claims that protesters had made their task in dealing with him difficult). The CPS has published its reasoning - see here. At no time was Mr Tomlinson a protester - he was trying to return home but finding it diffcult due to various police cordons. Proving a causal link between between the push and fall and the death some time afterwards was clearly always going to be a difficulty and proof would have been crucial if a manslaughter conviction were to be secured. Proving causation is not a medical question though, in practice, medical evidence often arises. 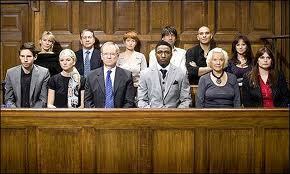 The law requires that the actions of the defendant had "contibuted significantly" to the outcome/consequence. There were 3 post-mortems: the first (Dr Patel) concluded that the death was due to coronary heart disease. It seems from the CPS statement that Dr Patel was unaware that Mr Tomlinson had been pushed. It is not clear why Dr Patel did not know this. However, it would appear that - at the time of doing the post-mortem - he had not been told and had not learned of it (like most people) from the news. Two further post-mortems concluded that death was due to abdominal haemorrhage (blunt force trauma to the abdomen). Only the first post-mortem had access to the "intact body" and Dr Patel had not retained some 3 litres of fluid found. The CPS concluded that they would have had to call Dr Patel as a witness and he would have re-iterated his findings. However, he would also have been subjected to cross-examination which (who knows) might have revealed more information. We will now never know. The CPS also concluded that they cannot bring any charge of assault. Two possibilities existed: common assault and assault occasioning actual bodily harm (Offences Against the Person Act 1861 s47). The CPS considered the "patterned bruising" caused by the baton. They concluded that this did not amount to actual bodily harm sufficiently serious to bring a charge under section 47. Also, common assault could not be charged since the incident was over 6 months previously and such a charge (triable summarily only) must be brought within 6 months. It is well established law that "actual bodily harm" is given a wide interpretation - it must be "not so trivial as to be wholly insignificant" (R v Chan-Fook  2 All ER 552) or "more than merely transient and trifling" (R v Donovan  2 KB 498). It looks very much as if the CPS has put the bar too high in ruling out a charge under section 47 though the CPS state that they followed the usual "charging standards". The CPS also rejected a charge of misconduct in public office. The modern leading case on this is the Court of Appeal decision in Attorney-General's Reference 3/2003. Further discussion on this aspect of the case may be read on the Jack of Kent blog where the learned author considers that the CPS misdirected itself on the law relating to misconduct in public office. This will be, yet another, of those cases where the CPS will be considered to lack robustness and a willingness to trust a jury to reach a sensible decision on ALL the available information. There will also be the view that there is a disparity in how the CPS deals with allegations against the Police as opposed to allegations against others. See a video of the event on The Guardian website. An article in The Guardian describes how some lawyers are dismayed over the decision - see "Lawyers challenge CPS over decision not to prosecute" - 22nd July. See also the Tomlinson family campaign and Inquest. The views of the Police Officer in question are not, as far as I know, in the public domain. Addendum - 23rd July: The second pathologist (Dr Cary) is reported to be stating that his post mortem report made it clear that Mr Tomlinson suffered injuries of sufficent seriousness to justify a charge of actual bodily harm - see The Guardian 23rd July. It also appears that the first pathologist (Dr Patel) is the subject of an "Interim Order with conditions" made by the General Medical Council's Interim Orders Panel. The interim order, which is in respect of complaints unrelated to Mr Tomlinson's case, was made on 21st July 2010 and lasts for 18 months (subject to review) - see Guardian 23rd July. As for the Police Officer who struck Mr Tomlinson, it seems to be unclear just how he will be disciplined - see The Guardian 23rd July "How will Police discipline the officer .."
Addendum A - 26th July: The Independent Police Complaints Commission statement about this case may be read on their website - IPCC. Also, there is an interesting discussion on the Charon QC blog. Addendum B - 26th July: The Coroner due to hear the inquest into Mr Tomlinson's death is coming under pressure to stand down and allow the appointment of another Coroner - see The Guardian 26th July. The Attorney-General Mr Dominic Grieve told Parliament that he had seen nothing to make him doubt the propriety of the decision-making in this case - see here. The Attorney said that he did not believe that a different decision would have been reached had the dead person been a Police Officer. (The Attorney-General has "superintendence" over the CPS). Addendum 27th July: The Guardian 27th July "Ian Tomlinson death: Police Officer faces disciplinary hearing"
Should there be no room for compassion in some cases? The Prime Minister is in Washington amidst the political row which has broken out over BP. Apart from the "Deep Horizon" oil disaster, the Americans are angry with BP in connection with the release of al-Megrahi ("the Lockerbie bomber"). The Guardian 21st July covered Cameron's visit. Cameron has referred to the release of al-Megrahi as a "mistake". Of course, al-Megrahi stands convicted of the murder of 270 people (259 on board the aeroplane and 11 on the ground). He was convicted at a trial held in Holland. Scots Law applied and he was tried by three judges alone (contrary to the usual Scottish system of a jury of 15 in "solemn proceedings") - see here. Doubts have lingered over his actual guilt but al-Megrahi abandoned an appeal just prior to his release on compassionate grounds. The Scottish High Court of Justiciary was in possession of a lengthy investigation into the case by the Scottish Criminal Cases Review Commission - (see their news release about the reference to the court and see the views of Professor Robert Black QC). It is unclear whether the abandonment of the appeal and his release were connected. At the time, it was said that he could not be released, even on compassionate grounds, if any legal proceedings remained. Surely, if the release were truly "compassionate" then there ought not to be any link. [The questions surrounding the medical assessment of al-Megahi are discussed here]. The Scottish First Minister (Alex Salmond) has said that the release of al-Megrahi was not a cause for regret - see here. Another writer argues that the truth must be revealed - here. Cameron is reported as having said of al-Megrahi - "He was convicted of the biggest mass murder in British history, in my view that man should have died in jail. Full stop. End of. Nothing to add to that. You don't release people who have been convicted of a crime that serious". Is Cameron right? I am not so sure that we should abandon compassion even in cases this serious. As ever, your views are welcome. A court which is perhaps known to few people is the Court of Protection. It exists to decide cases involving persons who no longer have the mental capacity to make their own decisions. The court - (in its present form) - came into being under the Mental Capacity Act 2005 s.45. The court often has to make the difficult decision about what is the "best interests" of such persons. This was eventually bound to result in a challenge based on Article 5 of the European Convention for the Protection of Human Rights. The challenge came - G v E and others  EWCA Civ 822 - where the Court of Appeal (Civil Division) considered whether Article 5 imposed conditions which had to be met before detention based on the 2005 Act would be lawful. The court has ruled that it does not. Also, in particular, psychiatric evidence is not necessarily required. Justification of detention under the Act is not a medical decision but a decision for the court to be made in the best interests of the person. This must be right. Parliament has entrusted this decision-making to the judges appointed to sit in this important court. This week has seen some interesting matters. 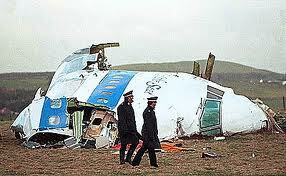 The present government has said that the return of convicted Lockerbie bomber al-Megrahi to Libya was a "mistake" - see The Guardian 16th July. Of course, they mean that it was a mistake made by either the previous government or the Scottish administration or both. I suspect that the British people would have kept him inside and so would the Americans. I also acknowledge that there were doubts about his guilt but those will never be resolved since, not long before his release, he abandoned his appeal to the Scottish High Court of Justiciary. [See Jim Swire's blog]. This story is a dark and complex mix of domestic and international politics, massive commercial interests and it is one in which the major loser is probably the concept of "justice". See The Independent 18th July - "The Megrahi affair: Blair, BP and the Libyan Link". Maybe I will do more on this topic later. The "Yorkshire Ripper" is not to be released - so said Mitting J in the High Court. Very few murderers receive a "whole life tariff". I think this one is deserved. Here is the judgment of the High Court. There is to be a judicial review of the government's refusal to hold a public inquiry into detention policies in Iraq. There are substantial reasons to believe that a considerable number of civilians were subjected to torture or inhumane treatment. The whole business of the (arguably illegal) Iraq War and subsequent occupation is likely to continue to raise serious questions for years to come about Britain's real commitment to international law and human rights. 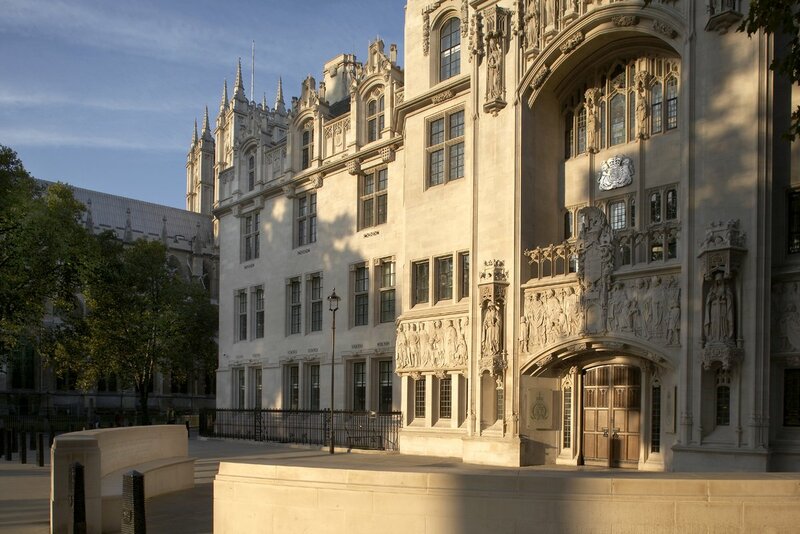 Read here the High Court's decision to grant a judicial review. Then there was the release to the High Court of documents which appear to show the British government of the day having a quite abysmal attitude to the idea of rendition of even British citizens to Guantanamo Bay and to the ill-treatment of detainees. These "legacy detainee issues" are discussed further here. The leader of the Bar Council is calling for the government to alter the law about possession of drugs. This is a complex situation but his call is for the government / parliament to address the issue. See the Charon QC blog for more on this. The Trinity Law Term draws to a close on 30th July 2010. The next Law Term (Michaelmas) commences 1st October. By then, the "new" Supreme Court of the U.K. will be due its first "school report". Let's wait and see what the various commentators have to say about their performance. There is a lot going on .... we live in interesting (even if cash-strapped) times. It seems more than a week since Spain won the World Cup. The concept of "Joint Enterprise" was discussed on Law and Lawyers in January 2010 - see here. It is a very problematic concept and appeals continue. There is an urgent need for better definition of this area of the criminal law. This may require that Parliament eventually acts rather than leaving the matter to the almost constant flow of judicial decisions. In 2008, Armel Gnango was convicted at the Old Bailey of the murder of Magda Priewska. There was a "shoot out" between Gnango and another man ("Bandana Man"). Magda came innocently upon this event and was killed. In an interview to the BBC on 22nd May 2008, Chief Inspector Tony Boughton said that is was accepted that Gnango had not fired the fatal shot. It was accepted that Bandana Man fired the fatal shot. It appears clear that Bandana Man intended to kill Gnango and therefore Bandana Man would have been guilty of Magda's murder on the basic principle of "transferred malice". Nevertheless, Gnango was convicted of murder on the basis of joint enterprise. It now appears that Gnango's murder conviction has been quashed by a five judge Court of Appeal (Criminal Division). The Court of Appeal heard the case in December 2009 and has just handed down its decision. Hopefully, the judgment will be made available in the near future. The judgment became available on 26th July - see here. Another interesting aspect to this case is the extensive use of special measures to enable some 15 witnesses to give their evidence. Chief Inspector Boughton referred to those in his interview with the BBC. Without such measures it is nowadays very doubtful whether convictions would be secured in a considerable number of criminal cases. Another joint enterprise decision was handed down this week by the Court of Appeal - see A and others  EWCA Crim 1622. Here is a link to the CharonQC blog which discusses a speech made by Lord Judge (Lord Chief Justice) at the Mansion House on 13th July. Please have a read. It is an extremely interesting and hard-hitting speech from the Head of the Judiciary in England and Wales. He was particularly critical of so-called "Henry VIII" clauses in statutes. Here is a link to the Lord Chief's speech of 13th July. Addendum 15th July: It is reported that the Crown Prosecution Service is warning government that 25% cuts in its budget will "deny justice" - see The Guardian 15th July. The Telegraph reports that, in a "worst case scenario" one quarter of the Police Force could be shed with civilian employees bearing the brunt of the cuts - Telegraph 15th July. See also Joshua Rozenberg's "take" on the speech by the Lord Chief Justice. Government now attracted to reforming the law of murder ... wonder why? Back in January 2010, Law and Lawyers had a brief look at the law of murder "Murder: a whole spectrum of conduct". In 2004, the Law Commission described the law as a "mess" and, in 2006, published their report - Law Com 304 Murder, Manslaughter and Infanticide. The Commission recommended fundamental reform and proposed a new Act of Parliament to create a 3 tier structure for general homicide offences. The government (as is often the case) cherry-picked the report and implemented reforms to the law relating to "partial defences" to murder - see Coroners and Justice Act 2009 Part 2 Chapter 1. It now seems that the new government is attracted to the idea of reforming the law of homicide along the somewhat complex lines suggested by the Law Commission: First degree murder; Second Degree Murder and Manslaughter. See Telegraph 13th July. It is worth noting that the Law Commission's report was in 2006 and there is therefore a case for reform even if not exactly on the lines suggested by the Commission. We know from Kenneth Clarke's speech (looked at here) that the government wishes to reduce the prison population. The removal of the mandatory life sentence for some murders - (i.e. those classed as 2nd Degree) - will assist with that aim. It is perhaps unfortunate that the aim of reducing the numbers in prison is likely to be seen as the main "driver" behind government's conversion to reforms suggested some time ago. The World Cup is over - at last !! Spain is the champion. England's performance was miserably uninspiring. The retention of Mr Capello as Manager was inevitable because his contract with the FA was altered before he went to South Africa. £12 million would have been one terrific golden goodbye! I hope that, before the next world cup, there is a serious rethink at England's entire approach and attitude. They seemed to me to have the attitude of some law students at a Monday morning tutorial after a weekend on the lash. 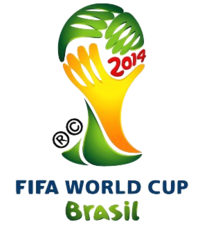 The next time is Brazil in 2014. They will be the 5th country to host it twice. Of course, in 2012, we get the Olympics and those will include football. The most brilliant idea of the whole World Cup was Paul (The Octopus) - pictured above. His uncanny ability at forecasting gave him 100% accuracy. Paul is to retire and I will miss him. I will not miss those awful Vuvuzelas. Brazil has something similar - the Corneta! Can't wait. Brazil (or is it Brasil) has come up with a nice logo. I think that is a left hand coming from behind the cup? Am I correct? The sentence of Imprisonment for Public Protection must count as one of the least carefully planned and implemented pieces of legislation in the history of British sentencing. Projections about levels of use were totally inadequate and, as a consequence, the resources required to implement the sentence were far too limited. Behind these practical problems lie more fundamental questions about the ability to predict the risks posed by those convicted of violent and sexual offences – and to predict reductions in risk. If the ability to predict risk has been overestimated – as we believe – then the basic rationale of the sentence may be open to question. The Brian Barder blog has much more on this subject - please take a look. The Guardian 8th July 2010 highlights the problems inherent in IPP and another article by Joshua Rozenberg contains trenchant criticism of this form of sentence. There is really no sensible alternative but to abolish IPP. "The court therefore grants an interim care order to the local authority in respect of ...(child) ..." Those words are the nuclear option in child care cases. They often mean removal of the child from the family to foster carers of the local authority's choosing. The word "interim" means that the removal will be temporary whilst the case proceeds to a "final hearing" several weeks or even months away. Removal of children is essential in some cases where there is "clear and present danger" of serious injury or abuse. In other cases, the decision to remove is difficult with considerable room for difference of opinion. In those cases some argue for supervision rather than removal. Others disagree and plump for removal on a "just in case" basis and perhaps because the children's guardian has recommended it and a decision to go against the guardian usually results in an appeal. This is a difficult and controversial area. The law is in the Children's Act 1989 and in binding judicial decisions. One such decision is Re L-A (Children)(Care: Chronic Neglect)  EWCA Civ 822 where the court of appeal confirmed that children should not be removed from home at an interim stage unless the safety of the child requires it. ["Safety" appears to be rather an "elastic word" covering any form of "safety" - physical, emotional etc]. When the case eventually gets to a final hearing, there may be a "care order" based on a "care plan" involving permanent removal of the child and adoption. Interestingly, these orders (interim or final) can be made by either the High Court, County Court (where judges sit alone) or by Family Proceedings Courts (FPC). In the FPC, cases are heard either by panels of three magistrates or, sometimes, by a District Judge (Magistrates' Courts). The latter are supposed to sit with one or two magistrates but this never seems to happen in practice - (see Magistrates Courts Act 1980 s.66). [The question is never asked - "Why is this judge sitting alone?"]. * If an application for an interim care order is opposed (and not all are) then the magistrates will conduct a hearing which could take a full day or perhaps more. At the end of that day, everyone is tired but the magistrates will then have to stay to consider the case, prepare written reasons and announce their decision. Appeals are then common adding further stress to the family in question. The magistrates are dissuaded from going home and returning another day with rested minds. This is because it is usually hard to get the same panel of magistrates back together. If a court is to exercise, even temporarily, a nuclear option then one has to question whether this form of decision-making process is the best that could be devised. Also, it does not usually save money because appeals are common. One option might be to have the cases heard entirely by professional judges who, as lawyers, have specialised in this work. An alternative would be a new tribunal for Children Act cases. The tribunal would take over the "child care" work of the FPCs and also that of the County Courts. Hearings would be before panels of three with a qualified lawyer as chairman. A third option would be to make some reforms within the FPCs to overcome the difficulties put in the way of magistrates. Perhaps a better option by far would be the creation of a Family Court. This was suggested many years ago.by the late Mr Justice Finer in his report on One Parent Families. The magistracy contains many very capable, caring and conscientious people but, in these difficult cases, they are asked to make their decisions within a flawed system which is not of their making and over which they have little or no control. It fails to allow them to take time to give calm and considered consideration to the evidence and to come to a well reasoned judgment. Reform seems to be needed. The government is looking at family law - see here. The review is not just seeking the views of professionals. Anyone may comment by completing the online questionnaire or by writing to the review. If you have personal experience of these cases - maybe because you have been a party to a case - then the review would no doubt like to hear of those experiences. The previous Labour government introduced some major constitutional reforms. These included devolution to Scotland, Wales and Northern Ireland and the Human Rights Act 1998. They set up a Department for Constitutional Affairs (DCA) - which later morphed into the Ministry of Justice - and there were numerous constitutional initiatives such as the creation of the Supreme Court of the U.K. and major changes to the role and status of the Lord Chancellor. They also looked at a number of areas but actually did little - e.g. reform of the role of the Attorney-General and a review of "Royal Prerogative Powers" which are, in practice, really common law executive powers. The new "coalition government" also seems hell bent on some constitutional reforms including fixed term parliaments and the alternative vote (about which there may be a referendum). Further reform of the House of Lords is also on the agenda (despite the creation of many new peers since the general election). Should all these constitutional reforms be done in this piecemeal manner? Maybe there should be some form of "constitutional convention". Have a read of what Joshua Rozenberg has to say in the Law Society Gazette. I tend to agree with him. Do you? The United States Supreme Court has denied an appeal by Linda Carty against her sentence of death by the Texas courts - see here. The case is also highlighted by the CharonQC blog. The U.S. authorities failed to inform the U.K. government about Carty's case. That is, in itself, a serious breach of normal diplomatic relationships intended to enable consular assistance to those accused of crimes. It also appears that Linda Carty was represented by incompetent counsel. To carry out an execution in those circumstances would be a travesty of justice. The matter now rests with the Governor of Texas (Mr Rick Perry). In the 9 years he has held the governorship, he has reprieved one person only. His predecessor - (George W. Bush) - was notorious for refusing to exercise clemency in death penalty cases. Since the case of Furman v Georgia 1972, the death penalty in the USA has had a complex history. One fact is that, in recent times, the majority of executions are in southern States most notably Alabama and Texas - (Death Penalty Information Center). Within the 47 Council of Europe States, the death penalty is now completely abolished (Protocol 13 to the European Convention for Human Rights). The USA, as a "civilised nation", should also abandon its addiction to judicial killing. Any reader wishing to petition in relation to the Linda Carty case may do so via the REPRIEVE website. Here are some statistics for executions in Texas and some details for Alabama. The Supreme Court of the U.K. delivered judgment in R (Smith) v Secretary of State for Defence  UKSC 29. Private Jason Smith went to serve in Iraq in 2003 and was sent to a base from where he was billeted at an old athletics stadium where daytime temperatures exceeded 50 degrees celsius (i.e. above 122F). He reported sick but was still used on various duties off the base. On the evening of 13th August 2003, he collapsed at the stadium and died of heat stroke. An inquest found that Smith's death was caused by a failure to address the difficulty he had in adjusting to the hot climate. Smith's mother wished to have the inquest verdict quashed and a new inquest held. She argued that the U.K. owed her son a duty to respect his right to life (Article 2 of the European Convention) and that the more searching form of inquest demanded by Article 2 had to be held. 2. Whether the fresh inquest into Private Smith's death had to conform with Article 2 requirements. The Supreme Court, by a 6 to 3 majority, allowed the government's appeal on  "the jurisdiction issue". The court unanimously dismissed the government's appeal on issue  "the inquest issue". Comment: This case was decided in the knowledge that the Al-Skeini case has been heard by the European Court of Human Rights (Grand Chamber) though judgment remains to be delivered. The Al-Skeini case is also concerned with the extent of jurisdiction under the European Convention on Human Rights. There is further comment on this case on the UK Human Rights Blog which argues that - ".... the Supreme Court justices have possibly written a very powerful academic essay, but not a binding judgment on battlefield human rights." This is because it was accepted that Private Smith was within the jurisdiction of the U.K. at his base where he died and it was therefore irrelevant to discuss what the situation might have been had he died off the base. The words of Lady Hale are worth noting - "The Ministry of Defence have appealed to this court because both the trial judge and the Court of Appeal accepted the invitation of both parties to decide more than they needed to decide. Of course they meant to be helpful. But because the Ministry of Defence did not like what they said, Mrs Smith has had to wait for more than two years for the case to be over so that the fresh inquest can be arranged." Nevertheless, even if statements about the situation of British troops when not on their base are technically obiter dicta, in practice those dicta will be followed by lower courts unless and until Strasbourg makes some alternative ruling - see here. "The Human Rights Blog also carries an interesting item about the Article 2 duty to investigate deaths and questions whether the "two-speed" inquest system which has developed in the U.K. is actually in line with Strasbourg jurisprudence on this subject. Further information about the al-Skeini and al-Jedda cases may be seen here.